With a tailor-made cabin adjustment, we create the perfect combination between truck and body. Are you looking for a special modification? We are eager to look at the possibilities together with you. We have tailor-made solutions for every type of cabin. Together with you and with the bodybuilder we look at the possibilities that are compliant with the sizes set by the laws and regulations. An inlet in the cabin roof is ideal for running a crane over the roof. Sometimes the position of the cooling motor hampers the cabin’s full tilt. This can stand in the way of service and maintenance work. We can adapt the cabin so that the maximum tilting capacity can be utilised. We offer tailor-made adjustments for every type of cabin in combination with any cooling engine. 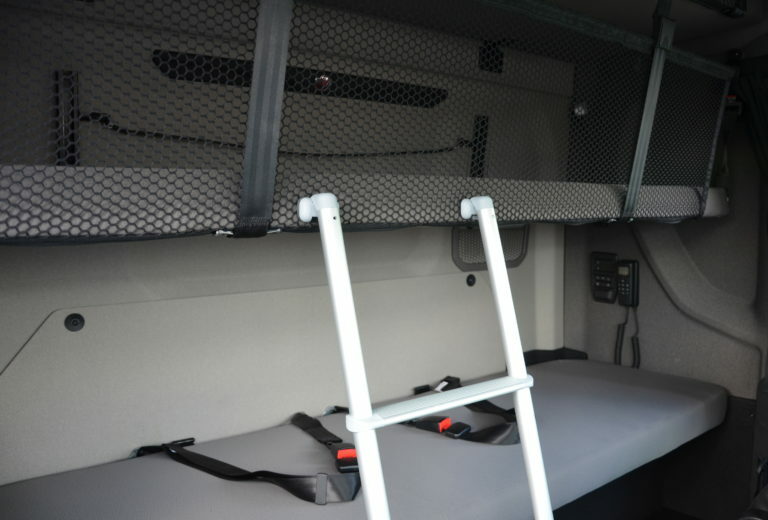 We can also help you with roof adaptations for commercial vehicles of up to 7.5 tonnes. To lower the roof, we have several modifications for various brands available. An example of a common application is allowing a vehicle to access (underground) parking garages. This is necessary for, e.g., cleaning vehicles in the inner city.